Music fans of the Pacific Northwest, hello and welcome back to our third annual year-end daily countdown, 100 Bands in 100 Days, where every day until December 31st, we’re showcasing a new band or artist you have to know about, presented by Verity Credit Union. 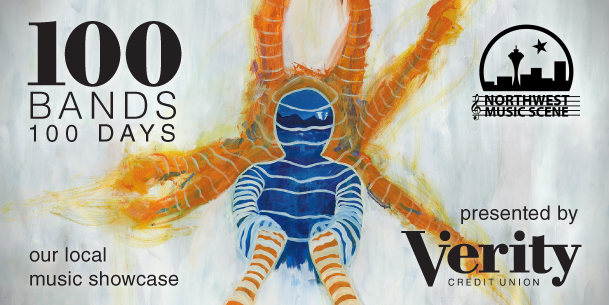 Follow the #100Bands100Days hashtag on Twitter to stay on top of all the bands featured and make sure to follow Verity on Twitter as well. Some days the featured act could be an established and locally-adored northwest-based musician that perhaps you haven’t been turned onto yet, and other times they could be a band with a small following that just hasn’t had their deserved time in the sun yet. Either way, we’re fairly confident you can come away from this daily segment with plenty of new favorites. Today we return to the constantly evolving and innovative Seattle music scene to share the outings of one of the city’s most boundary-pushing names in folk music, Animals of Grace! 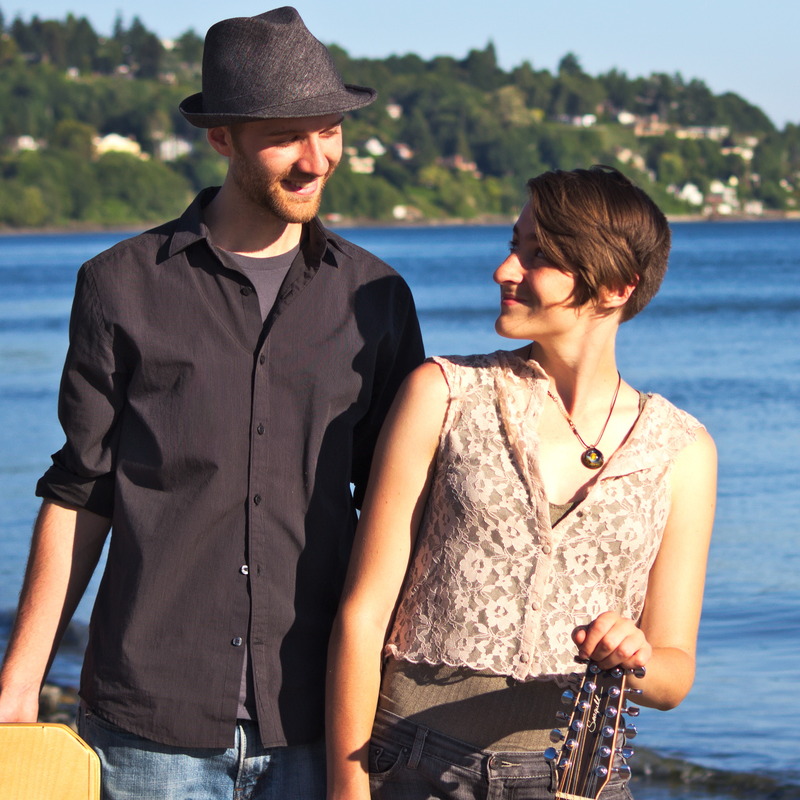 The duo that calls themselves Animals of Grace formed in New York back in 2012, but Erika Lundahl and Doug Indrick eventually decided on the Pacific Northwest as a stable home in 2013, drawn to its vast wilderness, an environment that perfectly compliments the music penned by the primarily acoustic pair. This cross-country relocation inspired the band’s first release, the five-song Make Me Kind EP, a release that may not have lit a fire under Seattle’s folk scene, but Make Me Kind was certainly an EP that forecast the duo as an up-and-coming Seattle outfit worth paying attention to. With subsequent releases throughout the past couple years, Animals of Grace would continue to rise in Seattle’s music scene as one of those musical outfits that may not be known by many, but those that are aware of the band’s music are blown away. Animals of Grace’s studio debut record, Songs of Shattering, released through Rolling Crone Records, was a low-key, but nonetheless beautiful and poetic folk album that put Lundahl’s fantastic 12-string guitar playing to good use, an element that would go on to become a major selling point in Animals’ music. Brambles, Animals of Grace’s latest full-length studio endeavor, was released just last month, and is the band’s most fully-realized and quintessential release to date. Sometimes a new album comes out that perfectly sums up what a band is all about and is a good entry point into exploring the rest of their discography, and Brambles is that album for Lundahl and Indrick. On Brambles, the duo’s perfectly complimentary harmonies are put at the forefront, and more so than ever, Erika Lundahl’s vocals have an inflection and tone all their own that may not sound all that familiar or traditional, but are pretty endearing once they grow on you. Animals of Grace’s lyrics have always had a certain feeling of oneness and peace-loving, and these themes are explored through a series of songs whose lyrics are laced with expressive imagery and the occasional politically-conscious track, most notably Brambles‘ title track, which doesn’t mince words about the state of climate change and the American oil industry. However, even if you aren’t the sort of person that’s particularly interested in politically-charged music, Animals of Grace’s lyrical messages aren’t so heavy-handed that they’re the only reason to be listening to their music, since the singing is evenly matched with fantastic instrumentation that feels as soulful as the vocals it’s backing up. Folk music fans of the northwest, meet your new favorite band. It’s rare you see a band with such a small discography that manages to hit as hard and with as much potency as Animals of Grace. You can follow Animals of Grace on Facebook and Twitter, and find their music available for streaming or purchase via animalsofgrace.bandcamp.com. Below you can watch their music video for “Three Songs of Shattering,” a premier track off Songs of Shattering.